Elephant Man found himself under police investigation over an illegal gun. 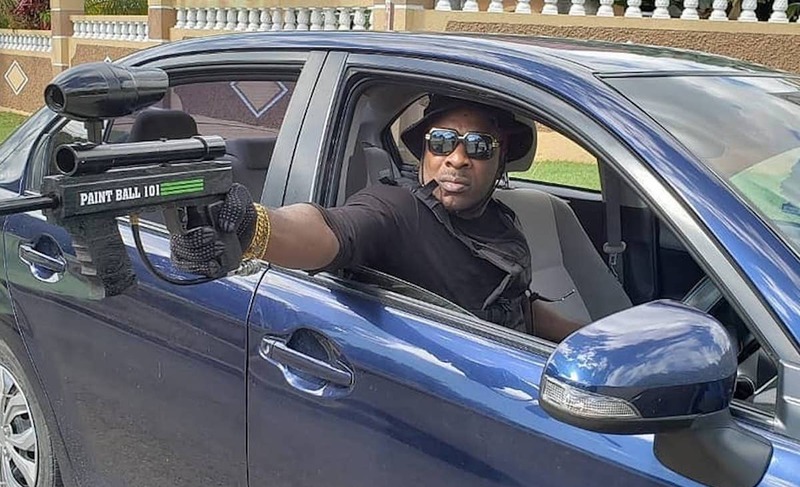 Dancehall deejay Elephant Man, whose real name is O’Neil Bryan, is currently being investigated by Jamaican law enforcement officials after a video of him with a gun went viral. The video shows the dancehall star hanging out with his crew while a female in a bathing suit brandished what appears to be a firearm while laughing. You will see Elephant Man when the video ended. Get this, there is another video floating around showing an unnamed man instead of the Energy Gad at the end, so it makes you wonder which one of the below videos was doctored. Elephant and his attorney, Christopher Townsend, will be meeting with cops on Thursday (January 31) to answer questions about the viral video. Authorities say that the deejay does not have a firearm license from the Firearm License Authority (FLA), and need to answer questions about the gun. The female in the video is also being sought by law enforcement to answer questions. Elephant Man attorney says the deejay is not hiding despite what is being reported. Law enforcement sources say the police department opened an investigation immediately after learning about the controversial video last weekend. Elephant Man has remained silent about the allegations, and his team has directed any questions pertaining to the matter to his attorney. “The matter is being investigated, and so I can’t say much,” Townsend said. The attorney also added that the police could not refer to the alleged weapon as a firearm since it was depicted in a video. As to the authenticity of the video clip, he did not elaborate.